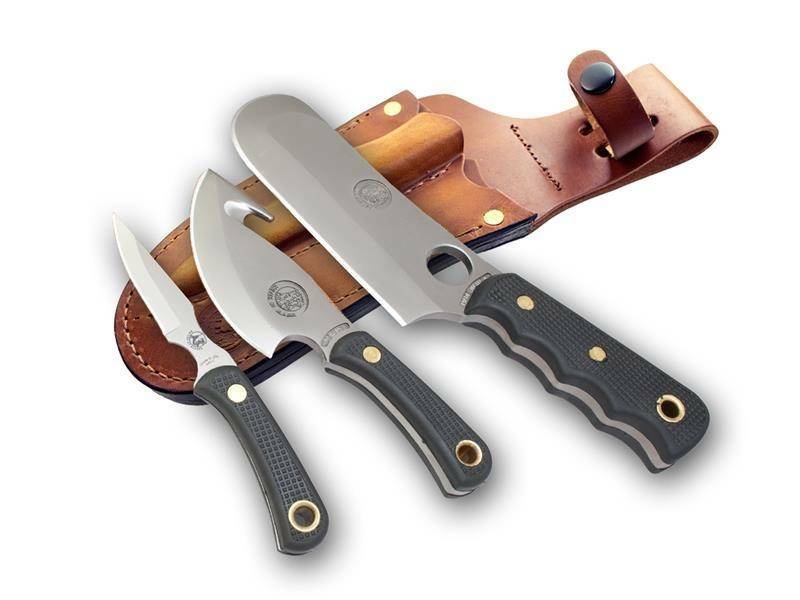 We received numerous requests by professional hunters and outfitters for a method to carry the Brown Bear, Light Hunter, and Cub Bear all in one sheath. 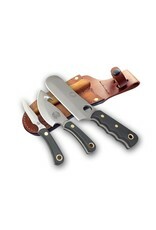 The Professional Hunter's Triple Knife Set includes all three knives in one sheath. NOTE: The set is too heavy to be worn on a belt, but can easily be carried in saddle bags or a backpack.